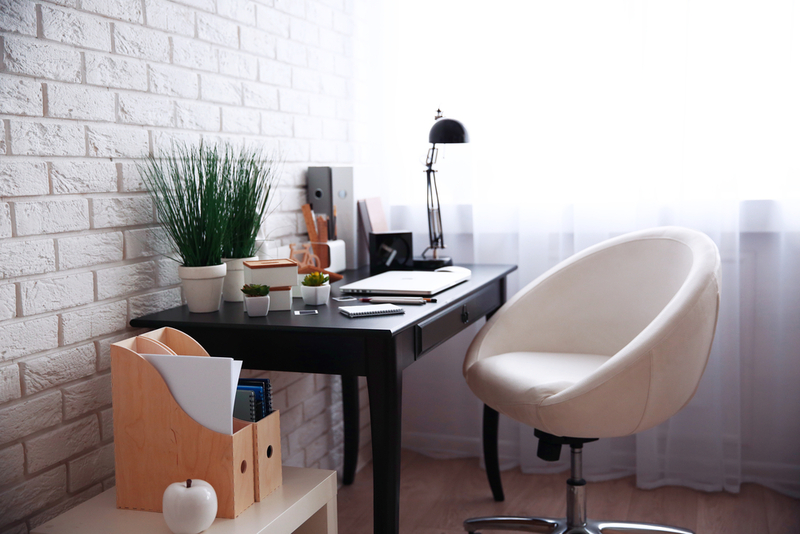 If you run a business out of your living space, or simply need a nook to work on your finances or groom your Pinterest board, the following tips can help you upgrade that home office. Whether it's an original piece from a favorite artist or a high-tech piece of equipment that makes working more exciting, splurge on something for your work space that makes you excited to be there. The right lighting can make all the difference. While low lighting can set a romantic mood, it can also make you sleepy or unmotivated—not the right vibe for a workspace. At the same time, fluorescent lighting can lead to headaches. Set up your work station by a window for natural light in the daytime, and set up a few good lamps around the room to ensure you can light the space adequately. Sick of those piles of paper that end of stacking up on your desk? Make sure you have a proper storage or filing system in place so everything can be stowed away in a place that is out of sight, but also easy to access when needed. Create a “Do Not Disturb” signal. Whether you have a curious spouse or a gaggle of kids, creating a signal that says you're in the zone is key. It doesn't need to be a literal “do not disturb” sign on a door. A ribbon tied to a doorknob or a certain type of music you listen to when you're working can do the trick. If you spend a lot of time at your desk, it's extra important you shell out for the things that ease the strain of sitting for long hours. A kneeling desk chair can support your back, while raising your monitor to eye level can ease neck pain. You can also have a small yoga space tucked into your office where you can take a short break to stretch out before you get back to it.